Anybody with experience with GrillCraft Sport Grilles? I saw one in 4 Wheel Online and I would to have one on my 2000 Honda Prelude. I have fog light area sized ones I'll be using whenever I get around to installing brake cooling lines in that space. They're good at keeping trash out. And really don't look bad. Me personally, I'd color match it to the car or pick a not-so contrasting color. brake cooling lines? what wizardry is this!?! 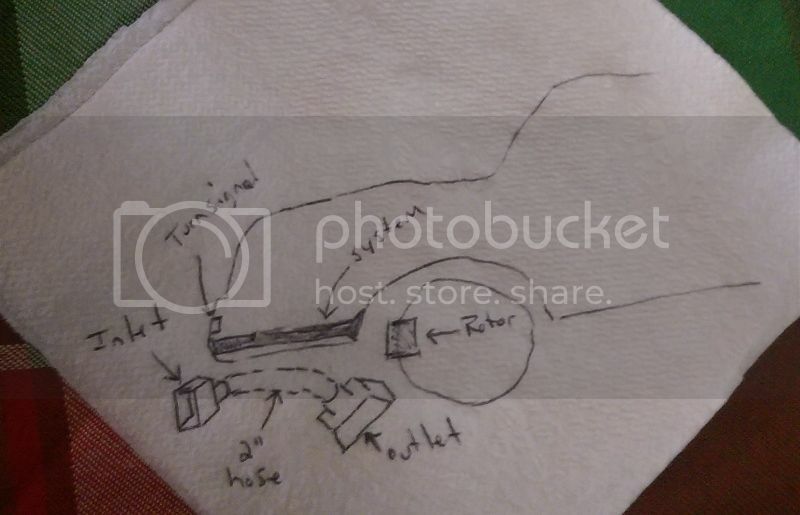 Ima do some oval inlets connected to hose that has a sorta Y shaped outlet end terminating near the rotors to blow air across them while moving. When I first got the ole gal there were no covers for when you don't have fog lights. Daryl hooked me up with a source for covers, but before installing some I 'napkin' designed some cooling ducts. Heck, back then I didn't know there were covers (or foglights for that matter) and figured someone before me had done it. maybe consider the nsx calipers to boot? they look like more of a heatsink and they would love that air... just shave the nsx badge off the caliper!! Well we'd looked into the $275 ea used nsx rotors and some junkyard acura rotors. But further modifications than I'm comfortable with caused me to say "nah"...plus it aint a jen-you-wine bykfixer mod like brake ducts would be. Will this thing spring into action when u depress the brake pedal or the gas pedal when coming out of a turn, I suppose preparing your brakes for the next turn.. Sorry to derail thread.. Talk about air brakes tho!! Last edited by static420; 01-15-2016 at 05:53 PM. It shows round tubing but the thought is the ends would be made out of the metal ac ducts uses. Keep in mind it's just a theory for cooling brakes of a car that doesn't get driven in rain.